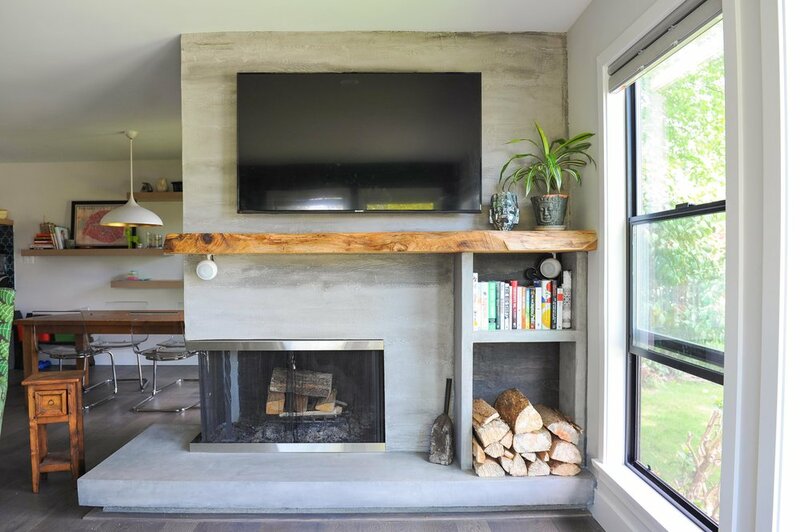 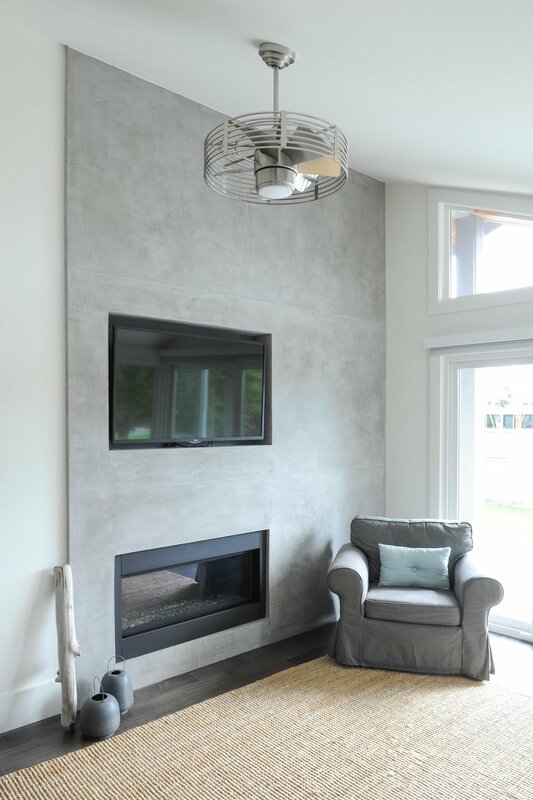 Custom concrete overlay fireplace surrounds create an element of art, while offering functional application in your home. 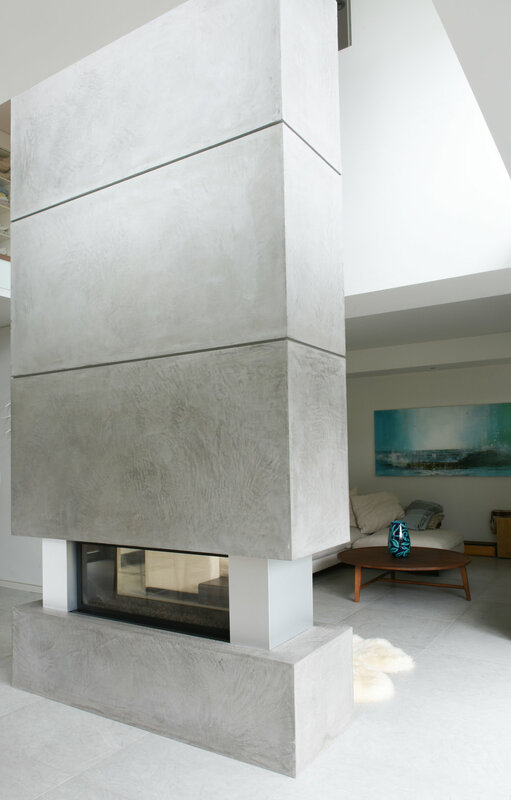 We create surrounds and mantles in new builds and renovations, for gas, electric and fire burning fireplaces. 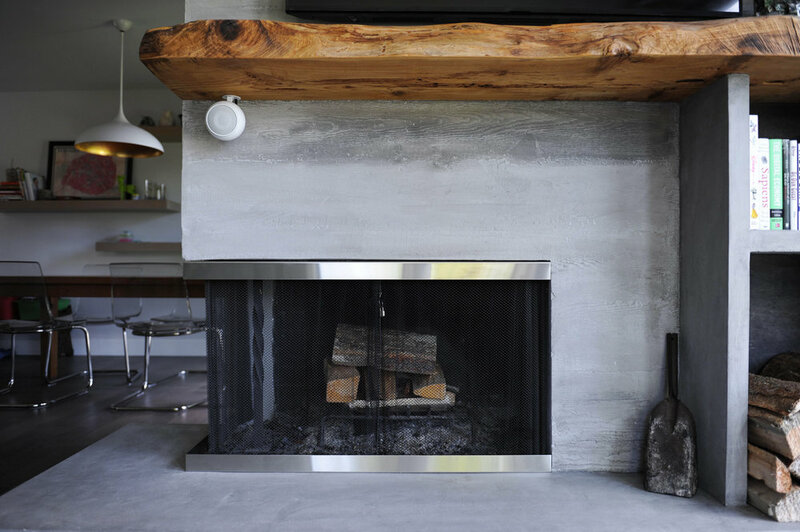 Unlike traditional concrete or solid soon, with custom concrete overlay mantles you are not constricted by holds, shapes or curing process. 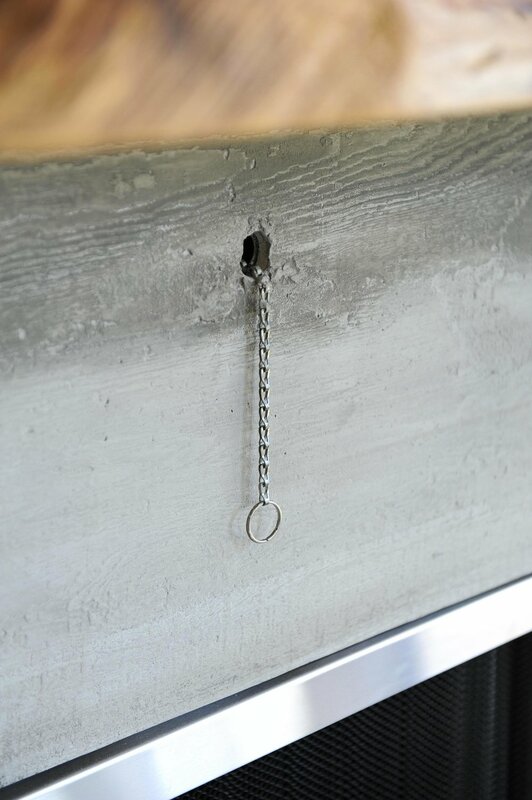 This means your design options are wide open.